Get ready to groan! Wits have been sharpened, wea-puns will be wielded, funny bones may well be broken. Will our pun-dits pun-ble under the pressure?! With a grand total of over $1,500 cash prize money on the line, you could say that the stakes are pun-ishing. 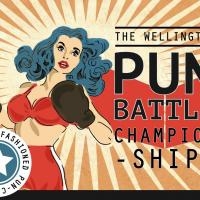 After a sold-out and truly cringe-worthy shows in 2017, The Wellington Pun Battle is back with a spectacular year-long tournament and worse word-play than ever before. 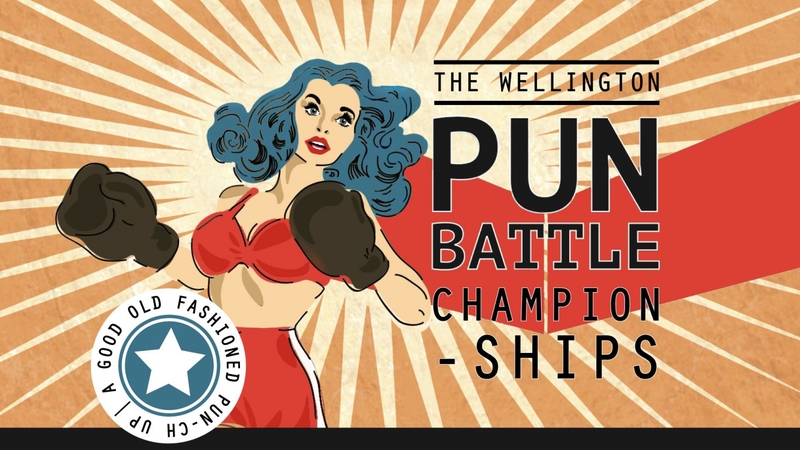 Come along and see the smartest alecks and wittiest nerds the capital has to offer and battle it out in this intense and hilarious head-to-head pun-off. Hosted by everyone’s favourite friendly neighbourhood transvestite, Mr. Hugo Grrrl. Expect utter pundemonium as we deduce once and for all if the pun is mightier than the sword. Because, as we all know, a good pun is its own re-word.